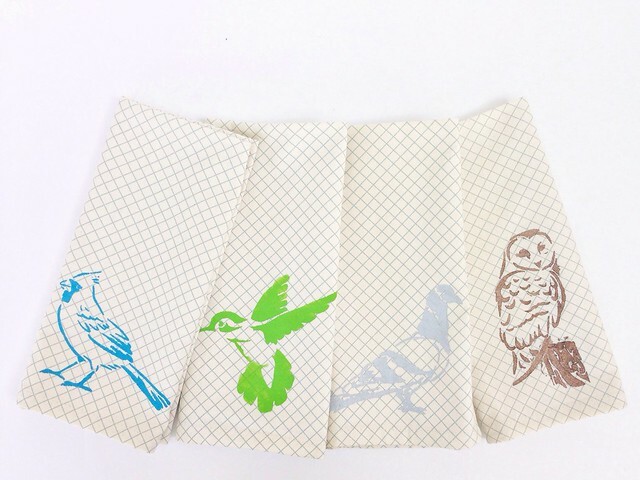 We traded out disposable napkins for cloth years ago and have never looked back. 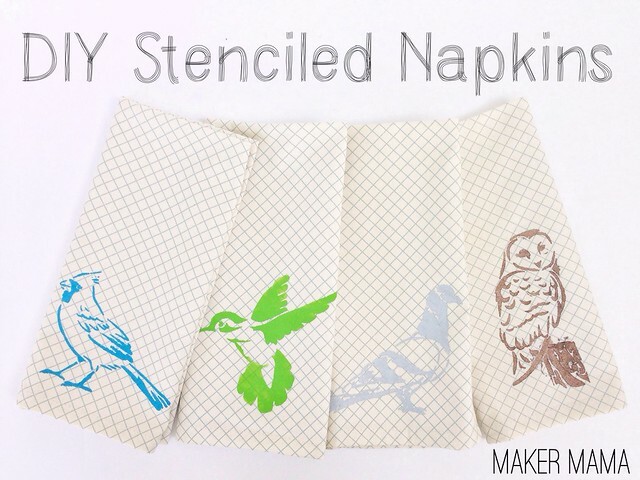 But eventually cloth napkins get a little faded and stained. So I’m always on the lookout for napkins when I make a trip to the thrift store. 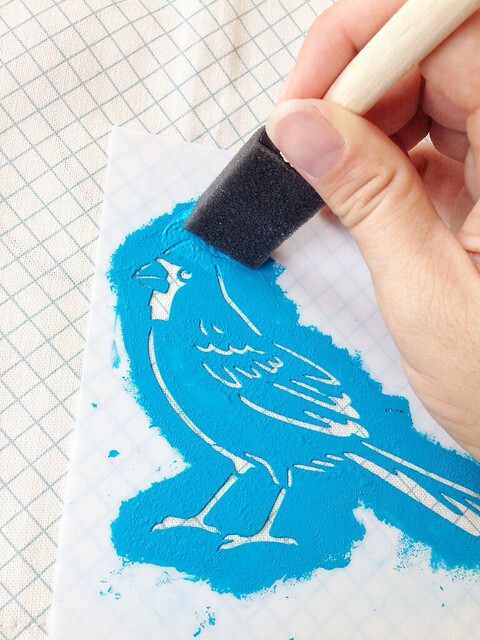 My favorites are ones with a little whimsy, but it’s easy to spruce up any plain napkins with FolkArt Stencils & Paints. 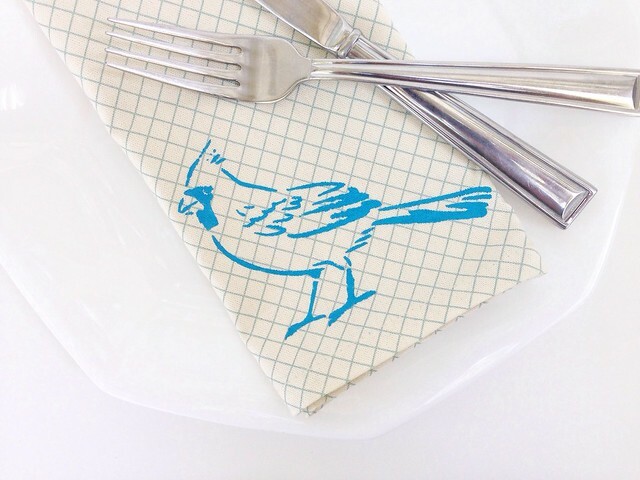 I used some of the new FolkArt Stencil1 stencils to make this cute set of napkins and want to show you guys how easy it is to put a bird on your own napkins (or just about anything else)! 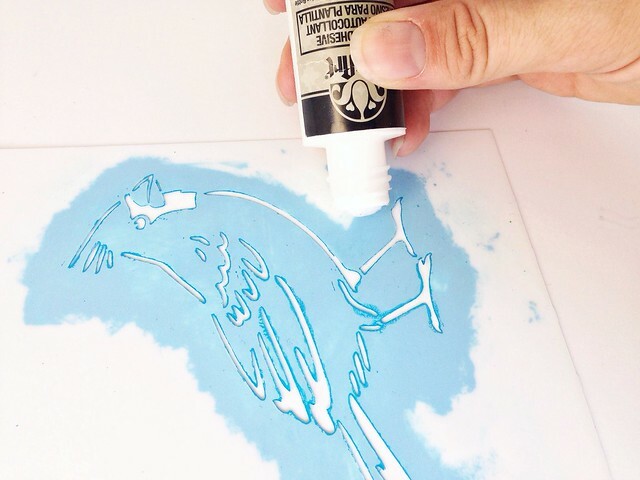 To begin, apply the stencil adhesive all around the edges of the back of your stencil. Make sure you get all the little tiny bits. Let the adhesive dry until clear (it should only take a few minutes). This helps set the adhesive so it won’t make a mess of your napkin. 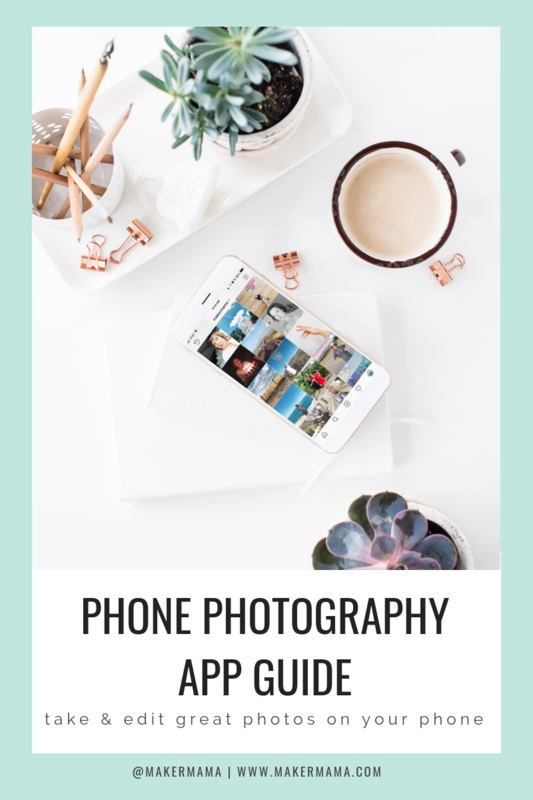 The adhesive also makes it easy to get a crisp image and you can reposition and reuse it before you wash it off. 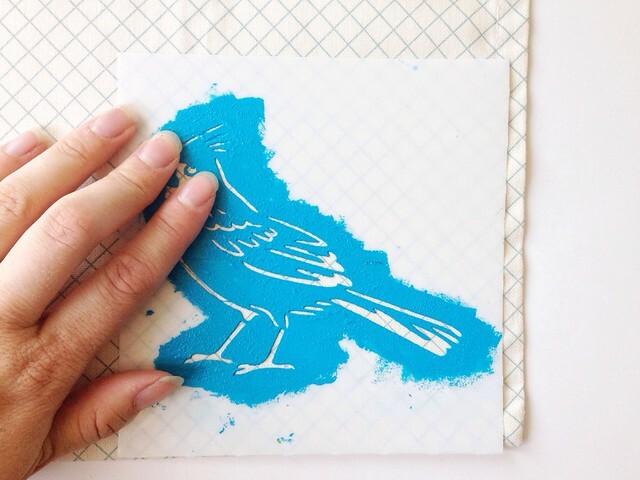 Press the stencil down and make sure it all sticks to your fabric. Paint away! I recommend pouncing the paint on rather than brushing–and don’t use a wet brush–it’ll make the paint bleed (I learned that the hard way). 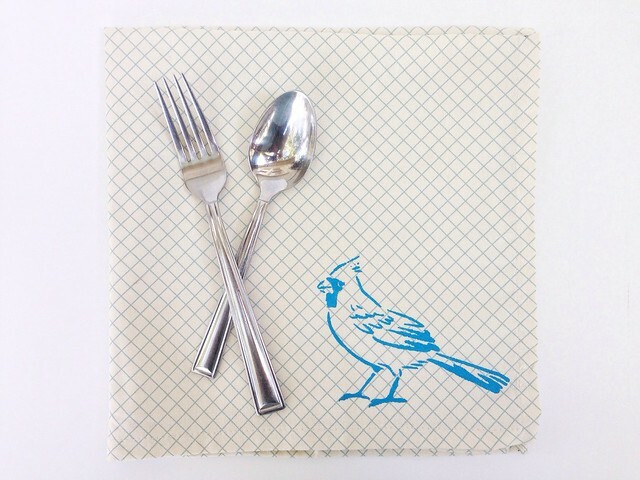 Now you have yourself some cute napkins–perfect for picnics, lunch boxes, and at the dinner table! 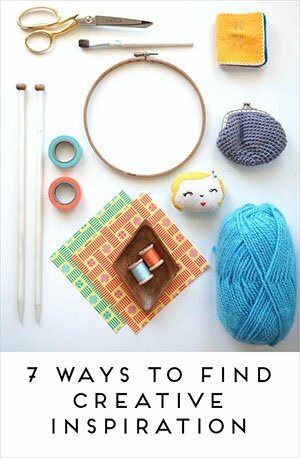 Check out The Plaid Palette blog or sign up for their newsletter. You can also follow Plaid on Pinterest, Instagram, Twitter, and Google+, like Plaid on Facebook, and watch Plaid on YouTube. 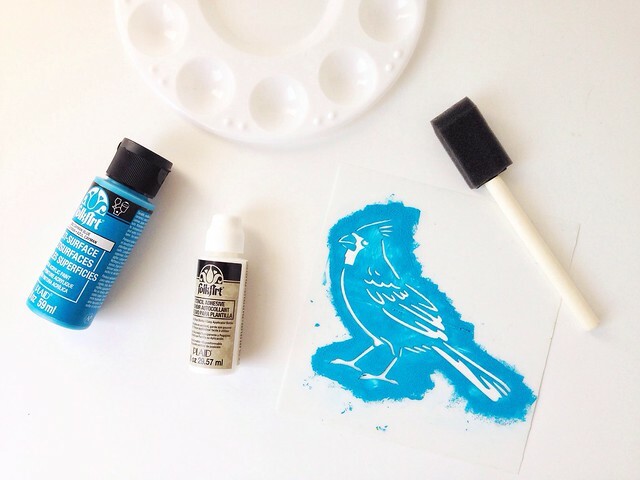 And be sure to visit Stencil1 on Facebook, Twitter, Instagram, and Pinterest. Thank you for supporting Maker Mama and my sponsors!